The revamped storage management system in iOS 11 has a new built-in feature that lets you free up space on your iPhone in a more efficient manner. 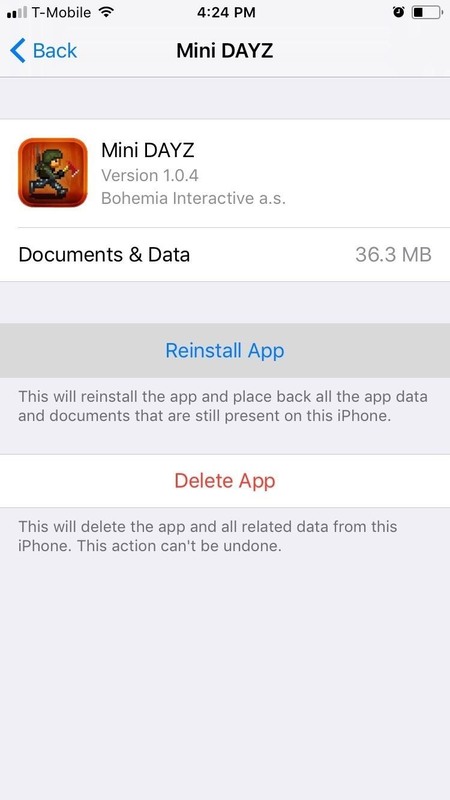 To better explain, this new option allows you to remove an app while preserving its data and documents should you choose to reinstall it later — and it can even do this automatically for unused apps when you're running out of space. There are two ways to use this new feature. 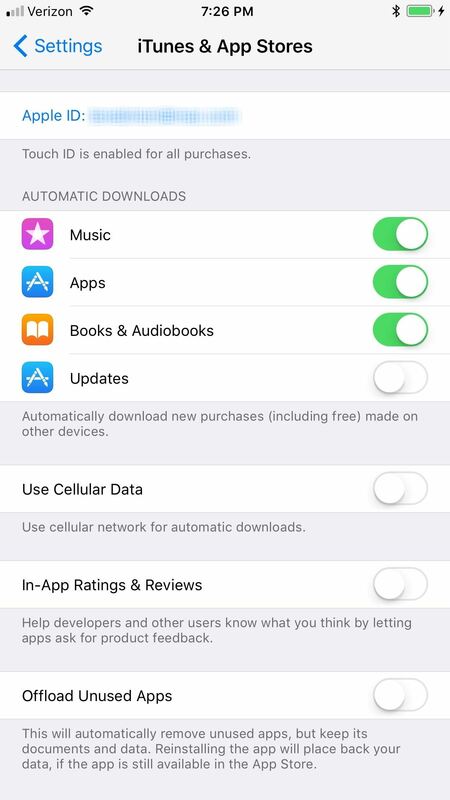 First, you can have your iPhone offload apps automatically by enabling it within either Settings –> General –> iPhone Storage or Settings –> iTunes & App Store. By enabling this setting, it will wipe away some unused apps you have right now and will do so again when you're low on storage. Secondly, you can go inside the "iPhone Storage" setting and manually offload apps one by one by selecting them from the list of installed apps and tapping on "Offload App" inside their storage information page. 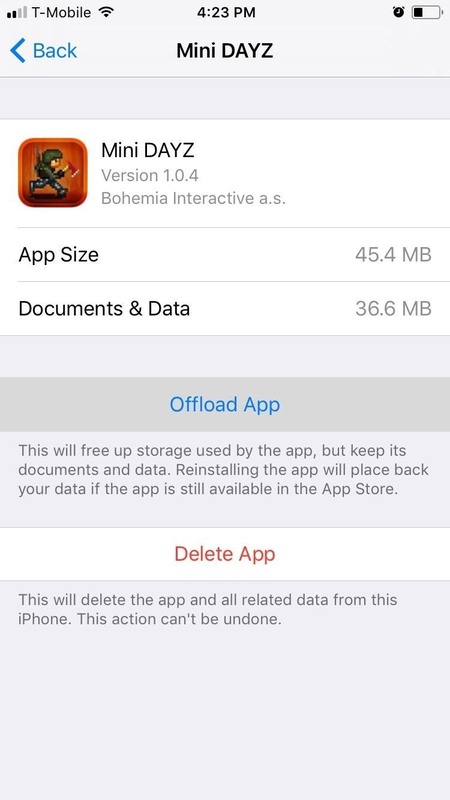 Regardless of which way you decide to offload apps, this function, once triggered, will proceed to delete an app (or apps) while simultaneously keeping your user data on your iPhone's storage. Not only that, but it will keep your folders and home screen pages completely organized since it doesn't actually remove any app icons — they will just have a download symbol in front of the names. 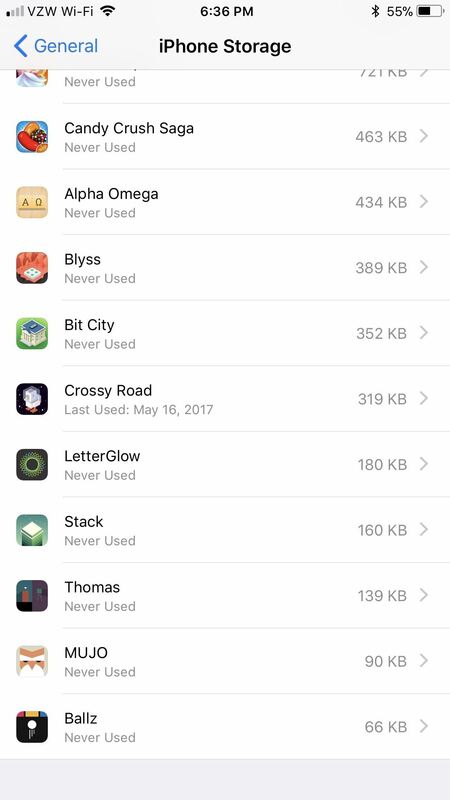 The apps will be removed from the main Settings list, obviously, but you can still find them in the "iPhone Storage" list. A video game such as Mini DayZ serves as a great example, as its player data is stored within your device, as opposed to a server-side game like Pokémon GO which keeps your information on Niantic's servers. 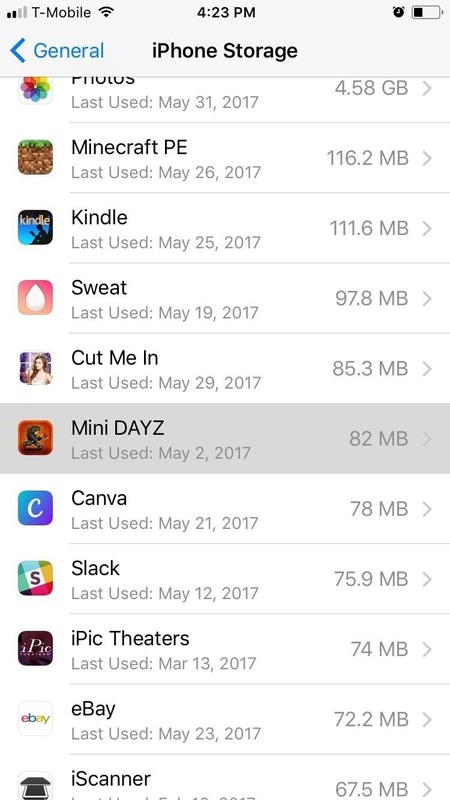 If you choose to Offload Mini DayZ or another app due to low storage, only the app itself will be removed. 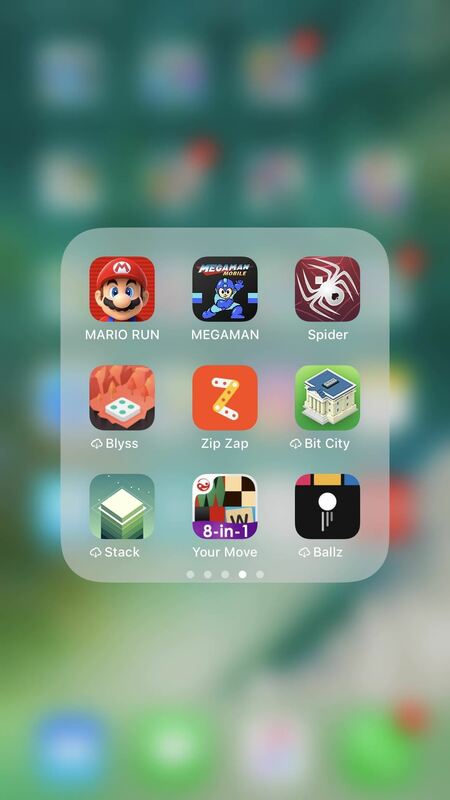 Any in-game progress that you have will stay intact within your iPhone's memory, so you can pick up where you left off on the game after you reinstall it under better storage conditions. 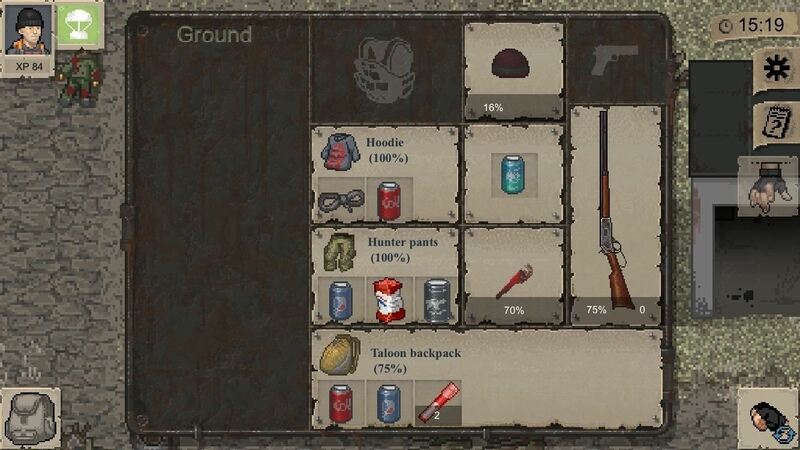 Picking up where I left off, with all my items intact, after offloading and reinstalling Mini DayZ. 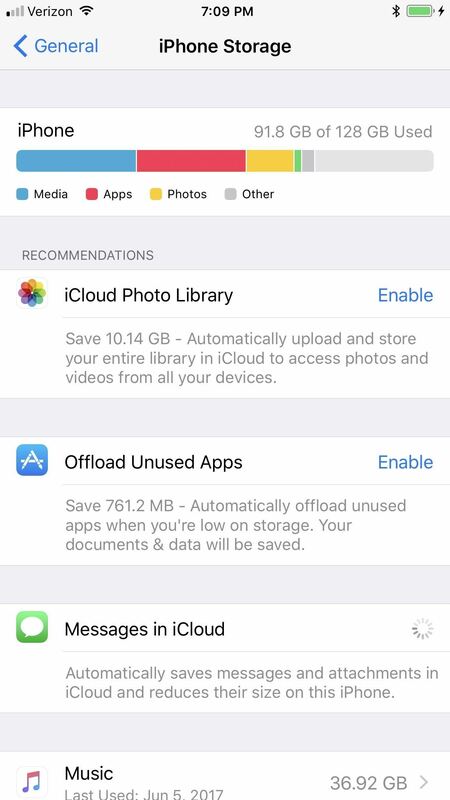 If you followed iPhone Storage's recommendation and chose to enable "Offload Unused Apps," it can be disabled at any time by heading to the "iTunes & App Store" section within Settings, and toggling "Offload Unused Apps" off. This setting cannot be undone within the "iPhone Storage" page, so keep that in mind before turning this automated feature on. The new offload feature on iOS 11 provides a great compromise between storage management and data preservation, though there's clearly some work still left to be done. For starters, it would be better if Apple utilized a toggle system under "Recommendations" for "Offload Unused Apps," as it's tedious to have to navigate back to "iTunes & App Store" to disable it. As always, leave a comment below and let us know what you think about this new feature.